The F074 is a basic level / pump controller that works with a preset value and two switch points to control a pump or valve. The low and high level switch points are entered as a percentage of the preset value to switch the device on / off. 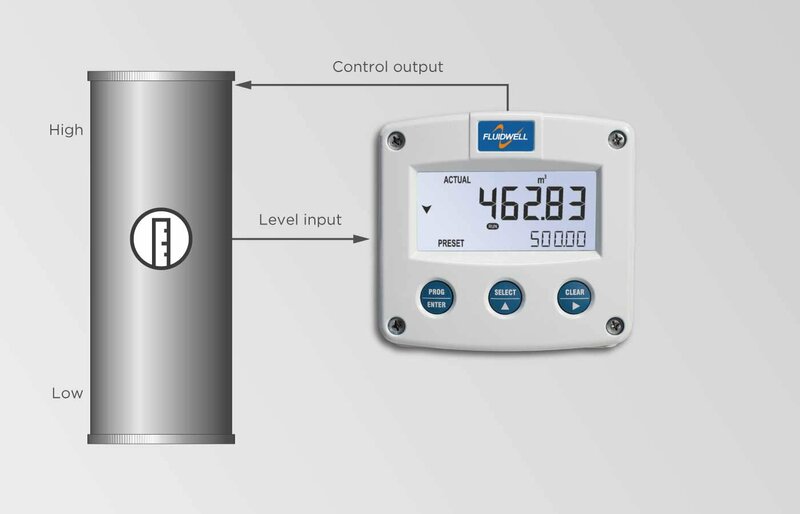 For pump control applications, the function can be inverted to empty a well. A stable level within a hysterese around the preset value is the result. The configuration of the Span, off-set and number of decimals is done through software functions, without any sensitive DIP-switches or trimmers. The display shows the actual level, preset value, high / low switch points and status. 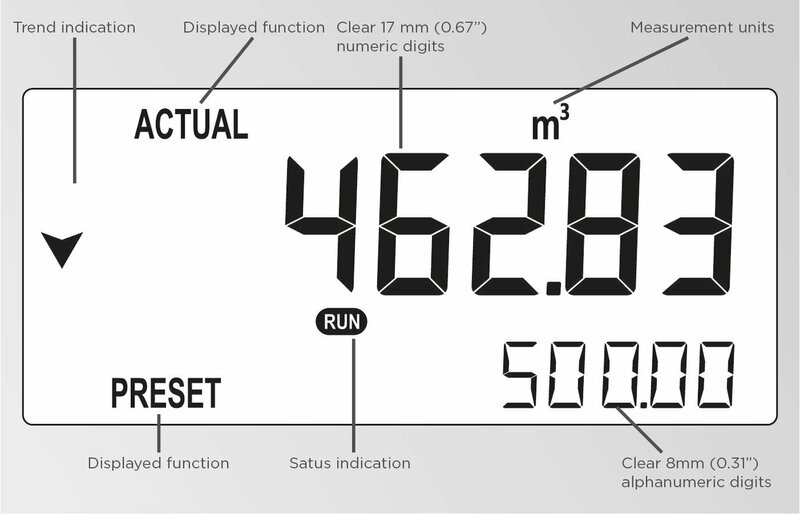 On-screen engineering units are easily configured from a comprehensive selection. Switch points and preset value can be set by the operator or they can be password protected. One control output for on / off pump or value control. Basic on / off level control applications without PI(D) control requirements. Also very suitable for applications where the required level changes frequently. Functions for filling-up a container or emptying a well or tank. Function: Control output to control a pump or valve, according to the high / low level switch point values.